People resonate with genuine authenticity. And the word “stock” itself implies just the opposite. In fact, based on a quick Google search, here are some synonyms for the word stock; basic, dull, ordinary, overused, conventional, routine, run-of-the-mill, typical, worn-out. Are these the kind of adjectives that you would like to have associated with your products and services? What about your company culture, your brand? My guess is probably not. In this article, I'd like to discuss the use of stock photography in marketing and advertising. Don't get me wrong, stock imagery has its place…These types of images can be helpful as temporary place holders in the design phase of your company’s new website. However, using stock imagery to market and advertise your brand is the equivalent to saying “we’re just like everyone else.” Using stock imagery can also visually communicate that you don’t value your brand. And if you don’t value your brand, why would anyone else? Yep, that’s right. Everyone is using the same image as you are. With a simple Google Image Search extension installed into your Chrome browser and a swift right click of the mouse, you can easily perform a Google Image Search. Chances are, the stock image that you just put on your website may also be found on hundreds if not thousands of other websites. How's that for your SEO? The internet is a pretty big place, but it’s a lot smaller than you may think. Don’t believe me? Do a Google Image Search on the stock image that I licensed for this blog post. You’ll find that it shows up on many other websites. As a professional image maker, it kinda makes me cringe to have a stock image even associated with my website, but I did it to prove a point. You’d be amazed just how many competing companies are using the same exact images to market and advertise their businesses. Think about how confusing this could be for your potential customers…if you’re not differentiating your brand with original visual content, you might be hurting your business without even being aware of it. You wouldn’t dare use the same logo or tagline as your competitors right? So why would you want to use the same imagery, especially on such a broad scale? It’s in the name. They call it “stock” for a reason. Let's face it, in most cases stock imagery can be pretty generic. How many images of handshakes or people sitting around an office table with an iPad will it take before companies start to realize this? Think about the last time you visited a company's website and saw the customer service window pop up. I’m going to assume there was a generic photo of a customer service rep wearing a headset right next to the chat window (i.e. the stock image that I used the in header of this blog post.) Did you have the impression that this so called "Sarah” actually worked for that company? Think about how your perception of this interaction might have changed if you saw a legitimate photo of a real person who actually looked like they worked at that company instead of the generic "closeup of a call center employee with headset" stock image. Look, if you’re going to use a generic concept, do your brand a favor and photograph your own employees in your own office space. At least you’ll be create authenticity by having original content and a point of view. There’s an old saying “Differentiate, or die with price.” Think about this for second. If your products and services are identical to everyone else, the only thing that would entice someone choose your products and services over someone else’s, would be a lower price. This is the so called “race to the bottom." But something different? Well, something different is worth paying for. It’s the definitive reason that brands exist in any competitive market. It’s the reason you can’t get a Big Mac at Burger King. The reason a Ford isn’t a Tesla. Creatively and visually speaking, using stock images to market and advertise your products and services, does not make your brand different. It might be tempting to “save money” by licensing stock images. But in reality, whether it’s in the form of brand degradation or potentially lost revenue, your brand equity could eventually pay the price. The photography used in connection with your companies marketing and advertising efforts, indeed affects how the marketplace perceives your brand. What may initially appear to be a bargain can easily turn into an expensive problem when the resulting images do not meet expectations. So how do you differentiate your brand from your competitors in a visual sense? Here are some reasons WHY YOU SHOULD CONSIDER HIRING A COMMERCIAL PHOTOGRAPHER INSTEAD OF LICENSING STOCK IMAGERY. Maybe you’ve never worked with a commercial photographer before. Or maybe you have. In either case, I’ve put together a guide to help you understand the process of hiring a commercial photographer for your next project. 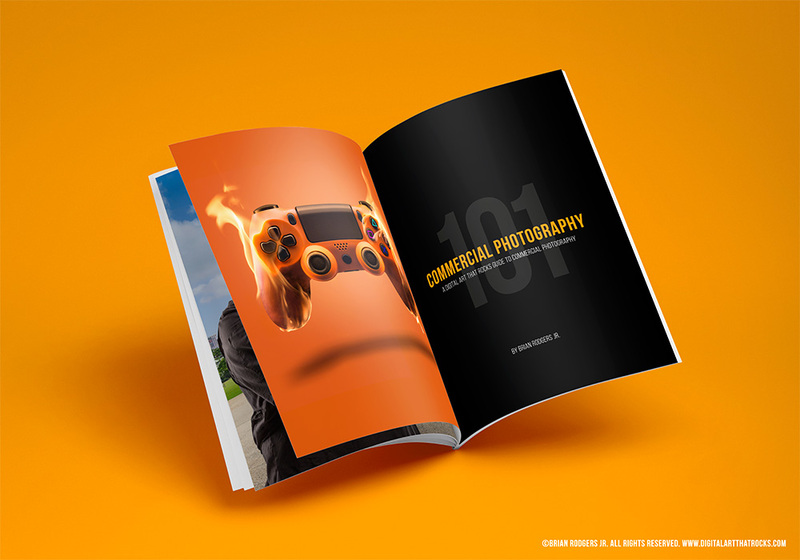 Fill out the form below to get access to: Commercial Photography 101: A Digital Art That Rocks™ Guide to Commissioning Commercial Photography.